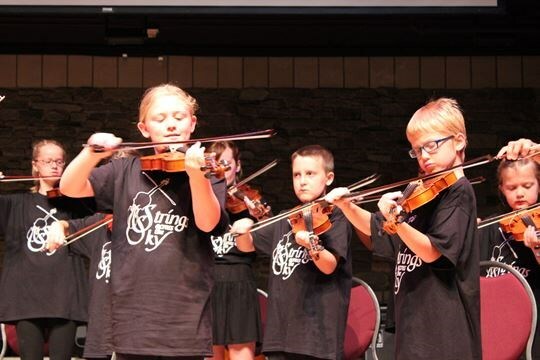 Each summer, the students of the Strings Across the Sky Fiddle and Music Camp are hosted by the Parry Sound Friendship Centre. 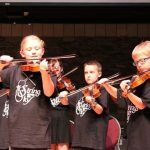 Since 2006, the Festival of the Sound has partnered with Strings Across the Sky to host a free family concert showcasing the achievements of the young fiddle students. Since 1987, SATS has been working with Inuit and First Nation youth, has run programs in 17 High Arctic communities, and transported over 450 donated violins to the north. Traveling on ice roads, small planes and boats through blinding snowstorms and under frigid skies, the instructors of Strings Across the Sky teach over 400 northern students how to play the fiddle.